Oh the joy of a public library! I never would have dreamed that when I spent $.60 to purchase these much worn, but complete set of books in Mr. Morris’ “American Odyssey” series that I would find so much pleasure in them! And to think, all it cost me were 6 dimes. I must be, by far, one of the most blessed fellows that has ever had the honor of living on this earth. 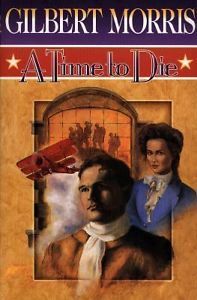 In this 2nd volume of the six book series, “A Time To Die,” the lives of the Stuarts continue to unfold. World War I is beginning to boil, and the Stuarts find themselves falling off the ledge of desire and patriotism. America still has yet to join the fray, but this doesn’t deter the Amos, Owen or Gavin as they each begin to step on the stones that God has laid for them, across this raging river of life. With her world wide pursuits in theater, Lylah Stuart finds herself in Europe at the same time, and finds her heart has been captured by one that neither her brothers, nor her country will approve of. As the world anxiously awaits the nod from President Woodrow Wilson, entrance into this fracas, Gavin decides to stretch his own wings in the French Foreign Legion. There, Gavin will encounter the infamous Baron Manifred von Richhofen, who is more familiarly known as the Red Baron. Little does he know how great a part this man will play in his and the rest of the Stuart’s lives. 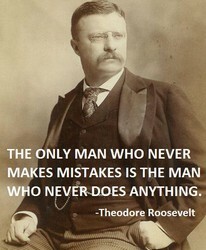 I believe that Theodore Roosevelt was an amazing man. The beauty of the writing of Gilbert Morris, is that he never fails to show how God works in the lives of his children. As you read, you almost get the feeling that you are privileged to stand almost outside of time, and watch the unfolding of the lives of this family. It is so incredible to see how intricately woven together their lives and the true history of our nation, and what reliance on God can accomplish. I am so glad I am a Christian. I am so glad to be living in America. I know that right now, we have turned from God in many ways, but as long as He bears us, we must never stop praying for our glorious country. We must have faith…faith like Saeed Abedini. 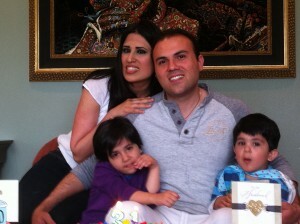 Pastor Abedini was arrested in his birth country, Iran in September 2012 for building orphanages. Because he is an American Christian pastor, who shared God’s love, he has been sentenced to 8 years, asked to recant his faith, which he will not do. He truly loves the people of Iran, and wants them to experience the joy that is found only in Christ. I want to have a faith like Pastor Saeed. The reason I brought this up, is that books like “A Time to Die,” help to instill that kind of courage in us. God works in many ways to build us up in our own faith, and one of these ways I believe is to use fine authors such as Gilbert Morris. …and please add Pastor Saeed to your prayer list. Pray for him to remain strong, and ask the Lord to bless him. Pray for his freedom. This entry was posted in fiction and tagged America, christian fiction, Courage, patriotism. Bookmark the permalink.